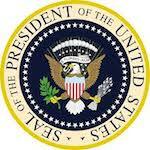 I am now constitutionally eligible to be the President of the United States. Manifesting Destiny, I am becoming the President of the United States. My Presidential Platform can be read here.